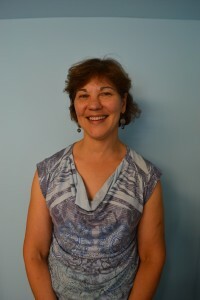 Elaine has worked on environmental issues since studying biology & environmental studies at Oberlin College (B.A., 1986). Her favorite class was Vascular Plant Systematics, traipsing through the Ohio woods and identifying all the plants they encountered. She worked for 10 years in recycling, most recently as Chester County’s Recycling Coordinator, helping to implement mandatory recycling in the county’s 73 municipalities, working with recycling in business and industry, and administrating numerous grants. Since “retiring” to take care of family, she has become even busier with volunteer work. She started a “Weed-n-Walk” program in the Ardens, to remove invasive plants from the natural areas, and coordinates various tree-planting and tree management efforts in Ardentown. She helped to author the Naaman’s Creek Watershed Association’s “Top 10 Weeds Gone Wild in the Brandywine Hundred”, and is on the Delaware Invasive Species Council. She contributes to several gardening projects throughout her community focusing most on replacing invasive plants with natives.